The current crisis rocking the leadership of Medical Laboratory Science Council of Nigeria (MLSCN) appears to have pitted the Minister of Health, Prof. Isaac Adewole, against the Secretary to the Government of the Federation (SGF), Babachir Lawal. 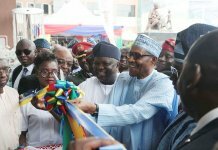 The leadership tussle which has lasted for nearly three months, started when the minister directed the MLSCN through a letter signed by the Director of Hospital Services, Dr. Patience Osinubi, and dated February 19, 2016, calling for the declaration of the Office of the Chief Registrar of the council to be declared vacant. The letter was issued notwithstanding the fact that the then Chief Registrar, Prof. Anthony Emeribe’s tenure was still on. 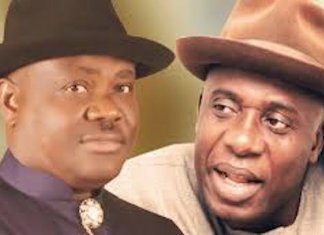 This was followed with a restraining order from the National Industrial Court, insisting that the status quo should be maintained and followed pending the determination of the substantive suit. 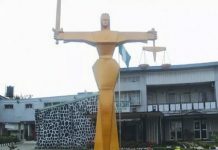 Again, Adewole was said to have ignored another directive from the SGF office to him with Ref: NO.56331 demanding that the ministry “wait for the legal process to be concluded” before taking any step to oust Emeribe. Further more, the appointment of the acting Chief Registrar in the person of Mrs. Olufunke Omotuyi may be another area; the minister’s directive might have created a gulf between his the ministry and office of the SGF. A senior council official who spoke to THISDAY the on the condition of anonymity explained that Omotuyi is not the second ranking person in MLSCN. According to the source, Dr Mrs Lawrena Okoro was the Deputy Registrar 1, while Mrs Omotuyi was Deputy Registrar 2. THISDAY checks revealed that the decision by the minister to terminate the appointment of Emeribe did not fall under the purview of the recent sack of chief executives of agencies by President Muhammadu Buhari, as neither the MLSCN nor Emeribe was included in the sack that saw the termination of about 26 chief executives of government parastatals. 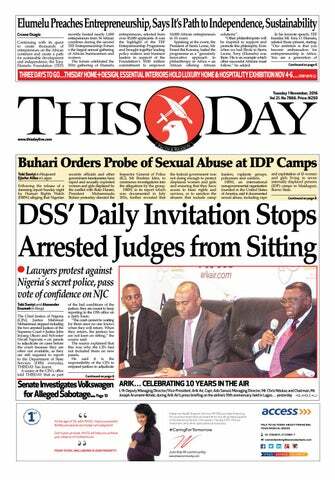 THISDAY gathered that plans are underway to petition the minister again before the SGF, including ensuring that the SGF act on the alleged arbitrariness carried out by Adewole. Also, all efforts to speak to the minister were not fruitful as he was not available for comments. Director of Press in the ministry, Mrs Boade Akinola, rather assured them that the minister will soon address the issue. Meanwhile, in a joint statement, Association of Medical Laboratory Science Council of Nigeria (AMLSCN) and Medical Health Workers Union of Nigeria (MHWUN) said no law was broken in the termination of Emeribe’s appointment. 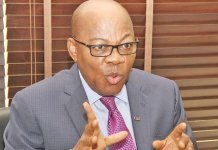 Chairman of AMLSCN, James Ogbeche, said: “With regards to the SGF directing that status quo be maintained in Council and the interim injunction granted by the National Industrial Court of Nigeria, we wish to state that the Council is not aware of any such directive from the SGF and this may be a report merely arising from the figment of the imagination of the author of the article. 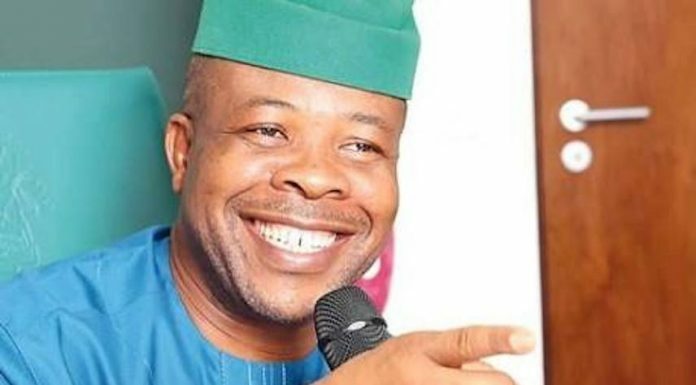 Dissatisfied with a concluded act of the ministry, Professor Emeribe ran to the National Industrial Court of Nigeria to file a suit against the Minister of Health and Council seeking to be reinstated to his position. He maintained that Omotuyi’s elevation “as acting Registrar by the ministry, was necessitated by the failure of Professor Emeribe to handover to the most senior Director in Council. Omotuyi is currently on CONHESS 17 step nine which makes her the most senior Director in Council,” they stressed.